Not only do the #RichKids of Beverly Hills have millions of dollars. Over 4 seasons, the show on E! has attracted millions of fans— eager for a glimpse at the glitzy, “fabuluxe” lifestyle that comes along with affluence in Beverly Hills. Brand Knew was challenged with creatively implementing campaigns that would highlight in balance, the impactful real-life changes happening to this group of friends, while showcasing their glamorous lifestyles and hilarious banter. Using a social-savvy and emoji-heavy strategy, we set out to showcase the #RichKids’ way of life, beyond the bounds of 90210. 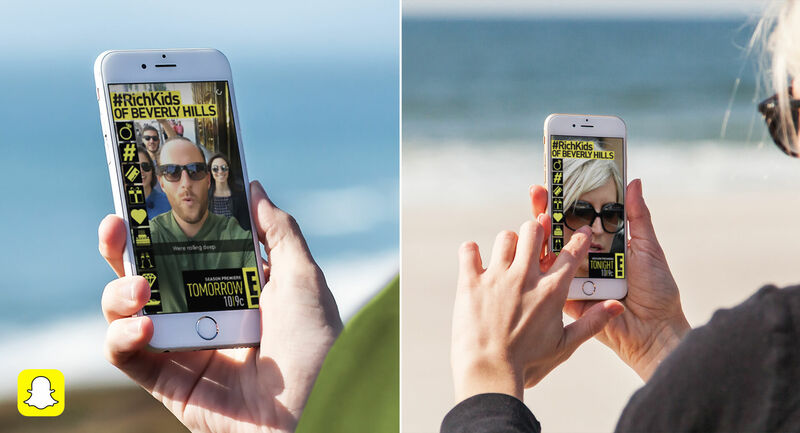 To create buzz and ramp up fan engagement, Brand Knew designed a custom #RichKids of Beverly Hills Snapchat geofilter, which was available to fans and talent while activated in Beverly Hills. The Snapchat filter increased brand equity and excitement about the premiere. The #RichKids have become popularly recognized for their comedic one-liners, so Brand Knew carefully chose key moments from episodes throughout the latest season to make into memes. We used the assets to live tweet, engage with viewers in replies, and remind fans to catch up on demand in a fun and organic way, making users feel as though they were interacting with the cast members themselves. We also created weekly static emoji cards throughout the season, highlighting the most share-worthy moments for talent to post on their personal social channels, thereby leveraging independent followings as well as the show’s. To wrap up season 4, Brand Knew conceptualized and managed the week-long #RichKidsEmojiSweepstakes, to engage followers with a creative, on-brand contest, while fostering user engagement. #RichKids now has a buzz-worthy, FOMO-inducing social presence that you can’t afford to miss out on. 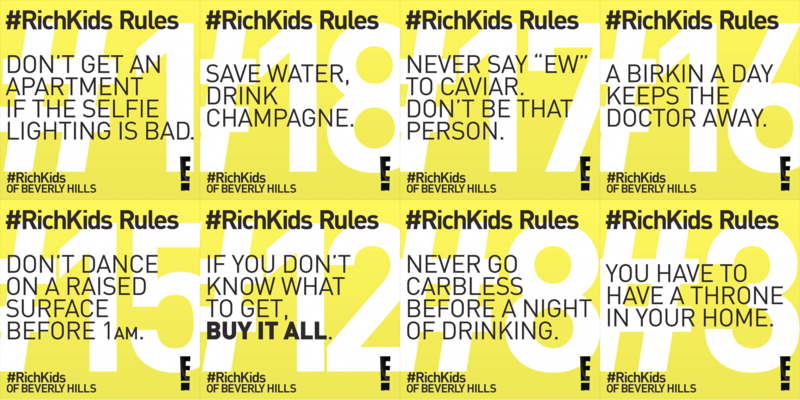 Having launched the #RichKids accounts from scratch, Brand Knew’s efforts in implementing creative activations and mobilizing talent have now gained over 300k multi-platform social media followers for the program. As the accounts continue to grow, and Brand Knew’s memes, design assets and campaigns get shared, the #RichKids are gaining in popularity on a global scale.